If you’re a book lover, you probably wish you had the kind of library Beast had in Beauty and the Beast. 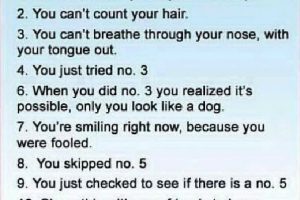 Finding one and being able to visit is still a treat, don’t you think? 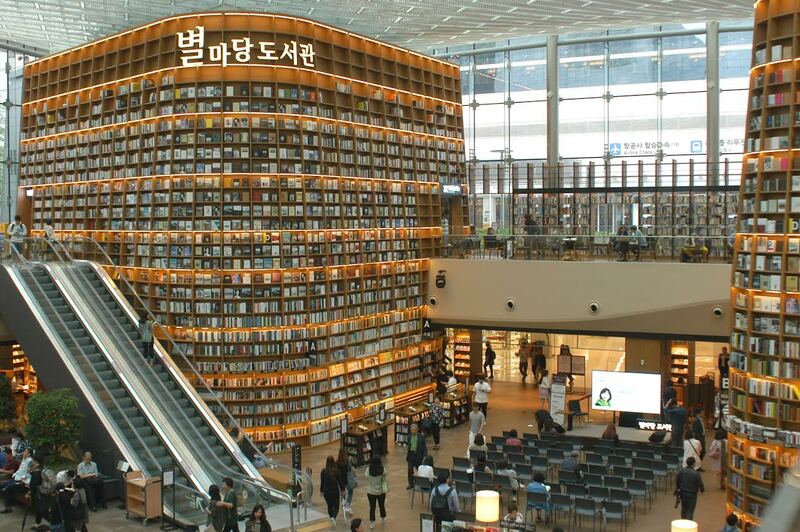 Well, In Seoul, South Korea, you’d find the library of your dreams! 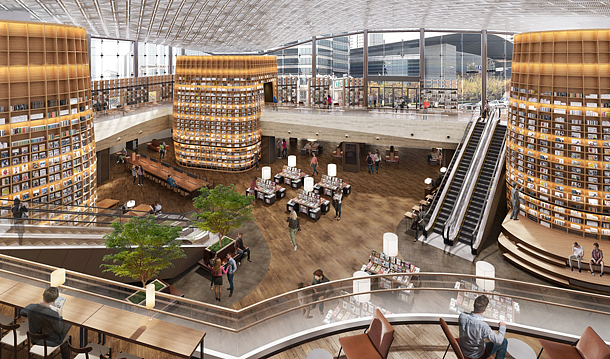 Starfield COEX Mall just recently opened the Starfield Library. It is a two-story library with an area of 2,800 square meters and is open to the public. 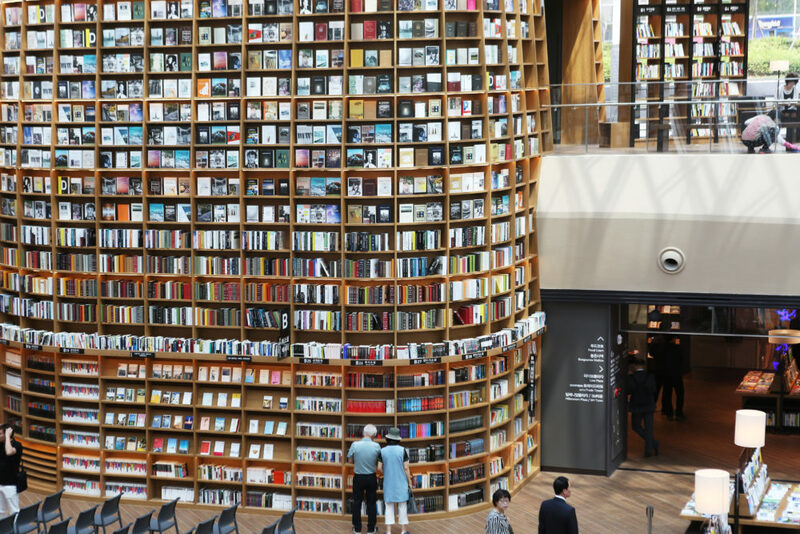 The gigantic library houses three 13-meter tall giant bookshelves with about 50,000 books and magazines. You will find in this library Korea’s largest collection of magazines, reaching over 600 different titles. These include latest editions and international magazines. Starfield library also has an up-to-date e-book system which most visitors love. Visitors can borrow books free of charge and read them comfortably in their stylish reading tables and chairs. 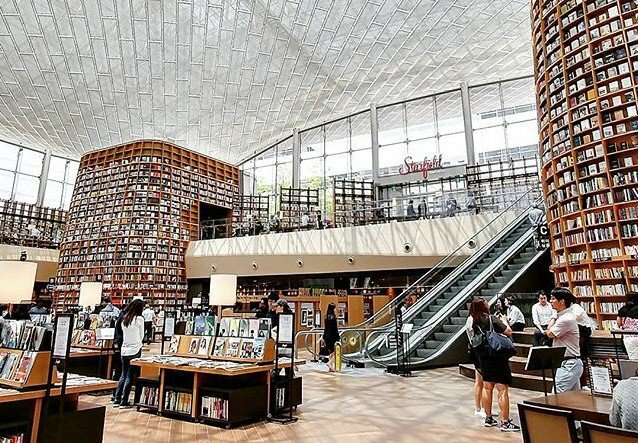 Starfield Library has become popular among tourists. Apart from the reading tools you will find, it also offers cultural events and performances with different themes daily. For June 2017, guests may enjoy poetry on Mondays, travelling on Tuesdays, books on Wednesdays, arts on Thursdays, special guest lectures on Fridays, children’s entertainment on Saturdays, and themed performances on Sundays. Starfield Library is open from 10am to 10pm. It is located within Starfield COEX Mall, Yeongdong-daero, Gangnam-gu, Seoul. How do you see/access books at the top of the shelves? How do you see/access books that are at the top of the 13 m tall bookshelf?